Most schools require that your child earn Community Service hours. Click on the links below to see what's going on in our community. Former Indian Princesses that have broken their arrows may volunteer as a Squaw at our Sping ACA Campout and Fall Circle F Campout. Help us with the event and earn community service hours at the same time! Send us an email to tell us you're interested in volunteering. Junior Achievement is the world’s largest organization dedicated to inspiring and preparing young people to succeed in a global economy. Through a dedicated volunteer network, JA Worldwide provides in-school and after-school programs for students which focus on three key content areas: work readiness, entrepreneurship, and financial literacy. Today, 139 individual area operations reach more than four million students in the United States, with an additional 4.3 million students served by operations in 114 other countries worldwide. Show our Daughters the goodness of helping others by giving blood. This page is designed for students who are looking to earn service hours in the Coral Springs area. BEGINNING JANUARY 1, 2010, when you sign up to volunteer a day of service with a participating organization (and your service is completed and verified) you'll get one day admission to a Walt Disney World® or Disneyland® theme park, FREE! We want to inspire one million people to volunteer a day of service. 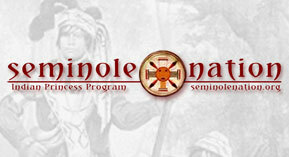 Please send your Community Service Hours ideas or flyers to webmaster@seminolenation.org and we'll post them here.